TextSpeak Notify! 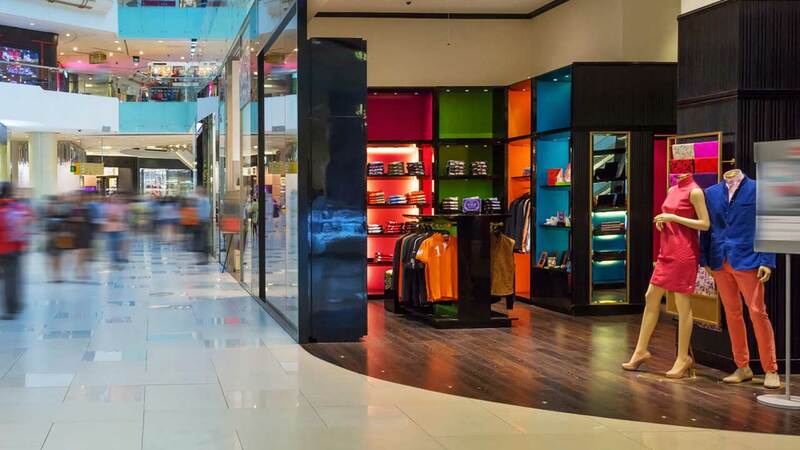 for Retail is a comprehensive Loss Prevention and Customer Service solution enabling retailers to proactively engage with their customers and enhance efforts to monitor high value merchandise in the modern retail environment. Our unique approach leverages a hybrid IoT/SaaS platform to connect customers, employees and corporate operations in real-time to identify, assess and respond to events using easily deployed smart wireless devices that include call buttons, sensors, wearables and mobile interfaces. 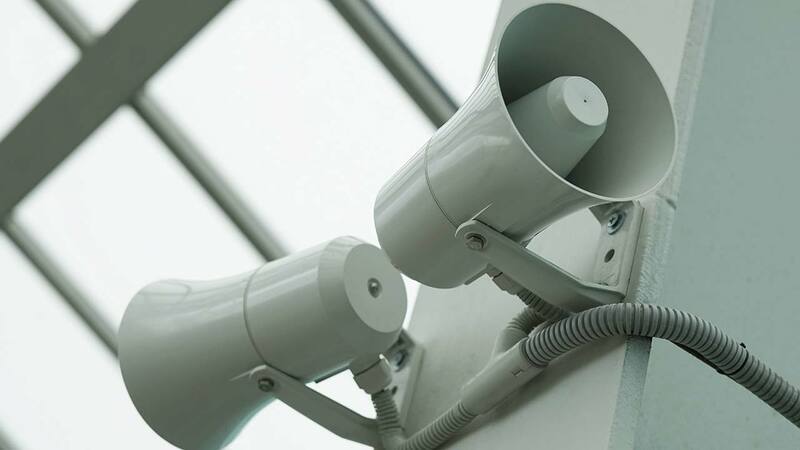 Leveraging local and cloud interfaces these device triggers can be routed to generate voice announcements and digital messaging, offer organization-wide oversight and enhanced decision making while providing essential analytics to give stakeholders a clearer picture of operational performance in real-time. 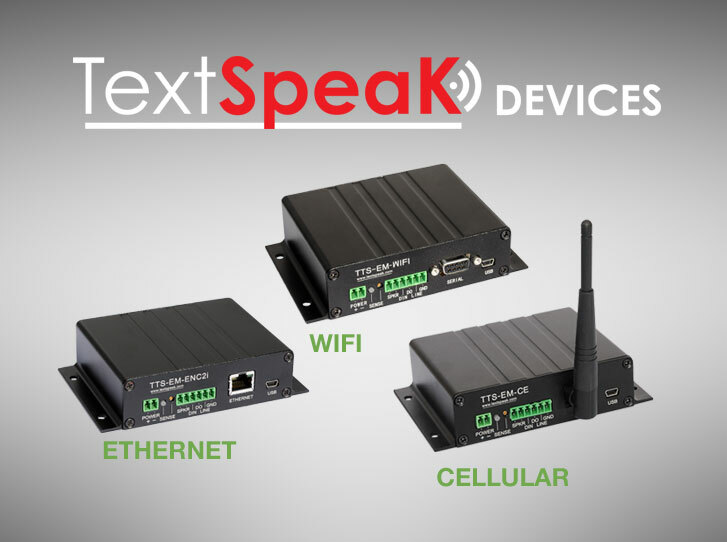 A key aspect of TextSpeak’s core audio technology is our industry leading high definition embedded text to speech engine that allows messages to be generated instantly from typed or stored text and broadcast over a speaker system as natural speech. This system supports dozens of languages and voices and can be customized to the specific needs of the deployment. 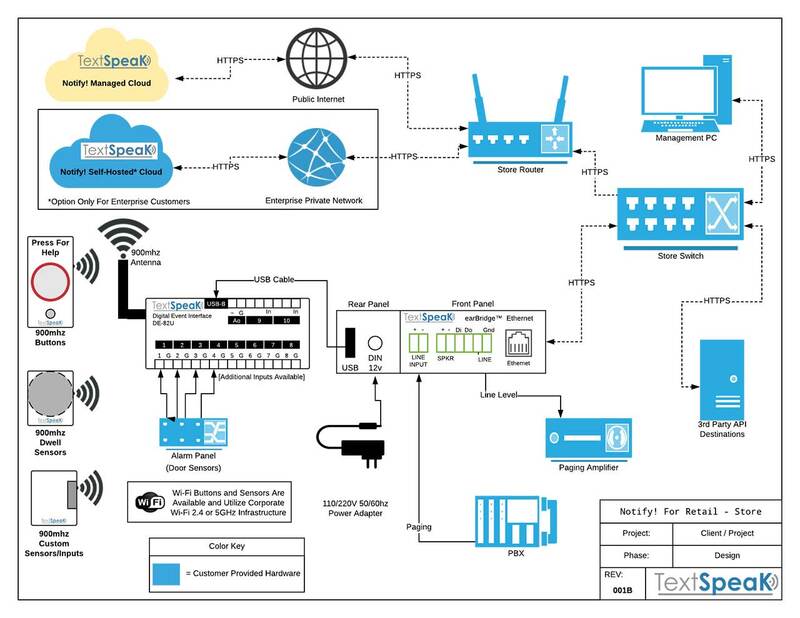 TextSpeak has developed a suite of robust long-range and encrypted wireless buttons and sensors with class leading battery management capabilities to minimize system maintenance and down-time. Each of these input devices are capable of triggering local announcements as well as launching cloud events to meet ever changing organizational needs. The Notify! 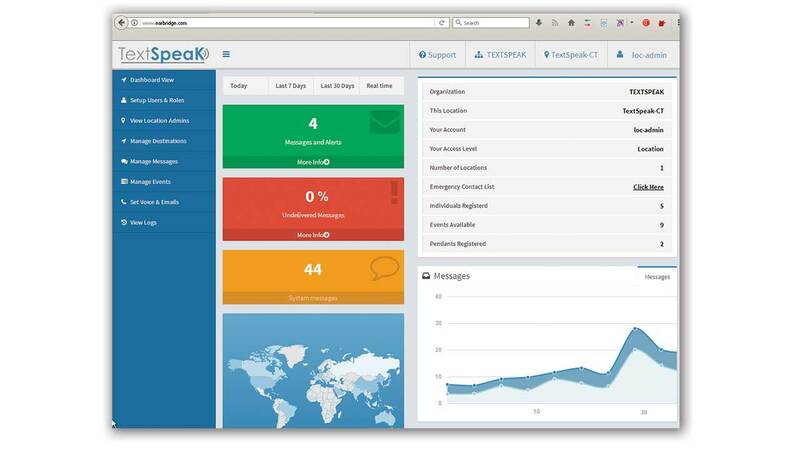 Cloud service is the enterprise grade SaaS alert management platform at the center of the TextSpeak Notify! solution that provides control from central operation centers or on-premise at each store location for management of authorized users, messages, schedules and assignments of buttons, sensors, and devices. 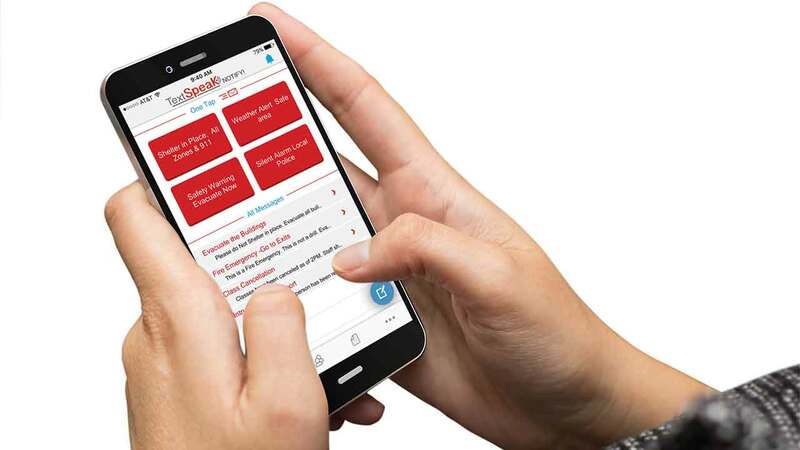 The service supports multi-medium notification distribution via on-site audio broadcasts, eAlerts (SMS, email, automated phone calls), network API calls and 3rd party integrations. Each Notify! 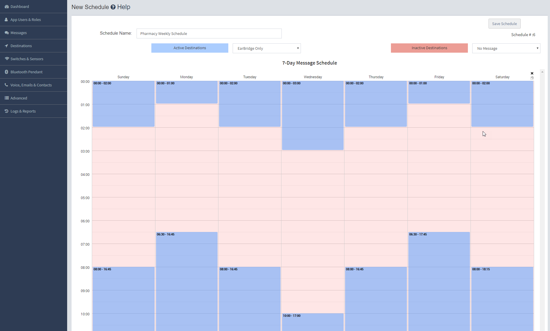 location supports a database of schedules that can be applied to specific messages and cause them to be played as audio over speakers and/or digitally routed to specific destinations based on a relevant business schedule. This allows the system to be programmed to function in a context-aware fashion. For example, this would allow for messages to be played over the paging system during the day and sent to the managers cell phone via SMS after hours. TextSpeak Notify! 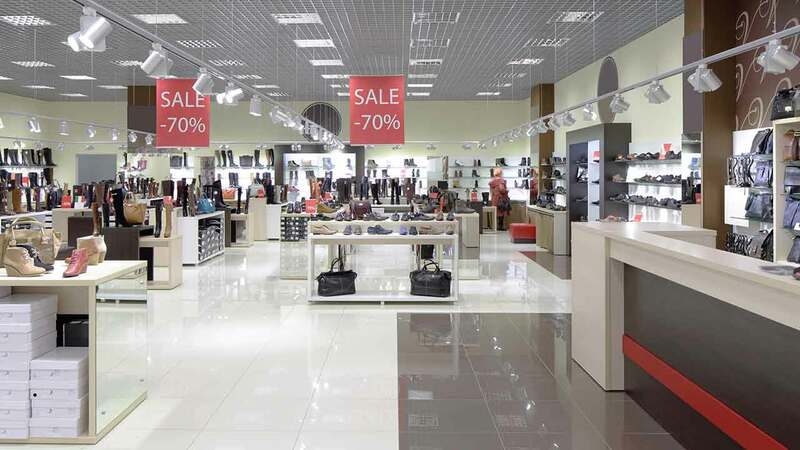 has robust activity logging functionalities that allow for granular location and organization wide analytics that provide actionable insights into your retail environment. Each button press, release, sensor activation, and cloud message is logged and available in the cloud service for analysis and archiving. Managers can leverage TextSpeaks industry leading iOS, Android and web apps to launch text to speech, pre-recorded audio, and voice broadcast messages to one or many earBridge locations, SMS recipients, email lists or automated phone calls from anywhere you have an internet or cellular connection. 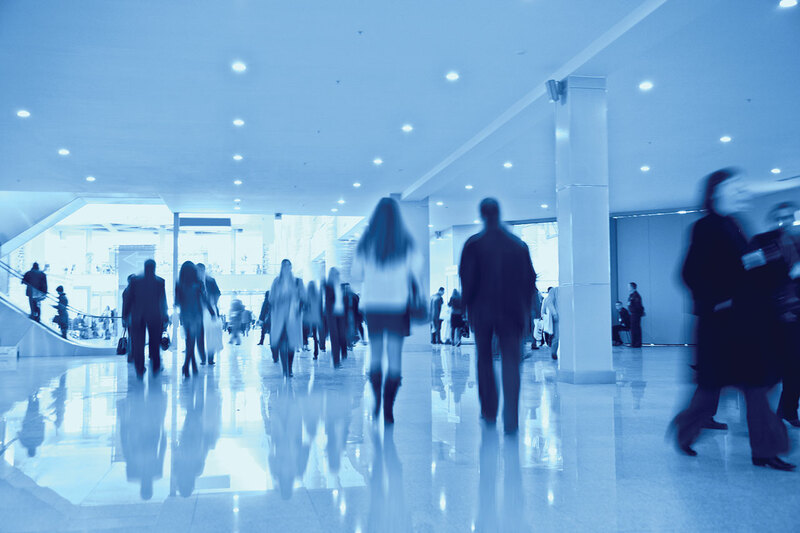 Managing situations and making announcements remotely with your smartphone is a game changer for retail where your management may not always be on site. Built on a flexible, future ready architecture that is both expandable and adaptable to meet current and future business needs. TextSpeak Notify! is a true IoT solution that leverages cutting edge technologies in hardware and SaaS services to deliver a robust, low maintenance, cloud connected solution that is capable of integrating with your existing infrastructure and business tools. 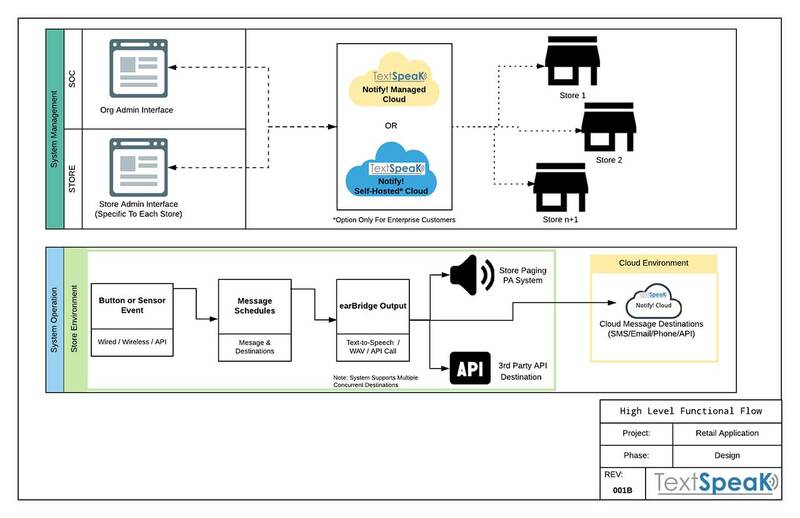 Using ‘open architecture and API design foundations, TextSpeak can offer connectivity to the new emerging world of iOT devices, smart tags, wearables and can leverage current and future wireless standards to maintain continuity of operations. 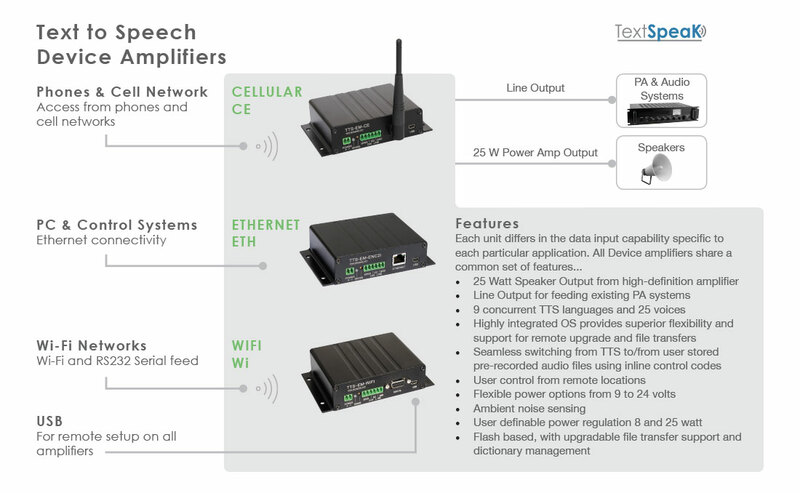 earBridge high-definition, world language best in class Text to Speech from Ethernet, Cellular or Wi-Fi cloud control in an industrialized enclosure. Seamless integration, simple operation. The system supports 25 languages and instantly converts text and data to a high definition, natural sounding voice. Pre-recorded audio announcements may also be uploaded to the units for playback. The unit can feed line level audio into existing PA systems as well as directly connecting to local speakers via the 25 Watt amp output.